Today we'll be taking a look at the Arctic M551 gaming mouse. This is the very first mouse to be released from Arctic-Cooling along with the M571. The M551 costs just a little less. Arctic-Cooling has been making some well-engineered products for some time now ranging from computer cases, power supplies, high end audio, and of course CPU and VGA coolers. 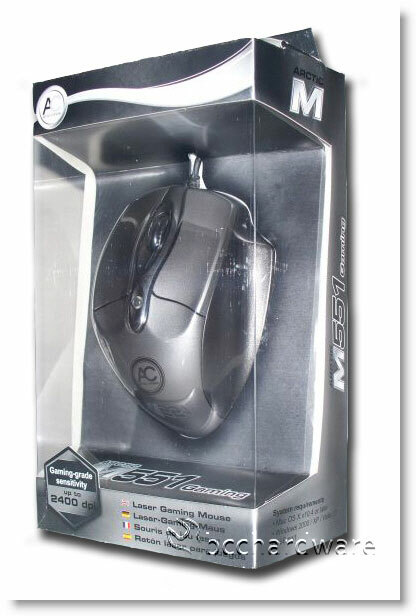 Now let's see if their brand new M551 gaming mouse can stand up to the rest of their great products. After removing the mouse from the easy to open packaging the first thing I noticed was how incredibly light it is. The Arctic M551 mouse has a pretty standard shape except for the finger rest on the right side for your ring and pinky finger that makes it quite comfortable. On the left side of the M551 there is a raised surface for your thumb grip that works nicely. Above that, you have forward and back buttons that are easy to press. Behind the mouse wheel there is a button you can press to cycle through three levels of sensitivity that is also indicated by different colored LED's: blue, green and red. The green light is 800 DPI, the blue light is 1600 DPI and finally the red light indicates 2400 DPI. The Arctic M551 comes with a six foot USB cable which should be long enough for almost any rig setup. The following information and specifications have been pulled from the Arctic product page and pasted here for your convenience. A mouse works like a computer user’s fingertips, so it should be quick, precise, comfortable and high-quality to help them slide freely on screen. ARCTIC M551 that incorporates all these attributes along with highly functional features. The ARCTIC M551 has a resistant surface coating to protect the mouse from wearing out. This helps to maintain the mouse at top-notch quality from day-to-day use. This mouse operates with laser optical sensor; thus, it has ultra-high sensitivity levels that offers ideal precision and speed. The sensitivity levels can be adjusted from 800, 1,600 to 2,400 dpi by simply pressing the ‘dpi’ button. The current sensitivity level is displayed by a LED light on the mouse as well. 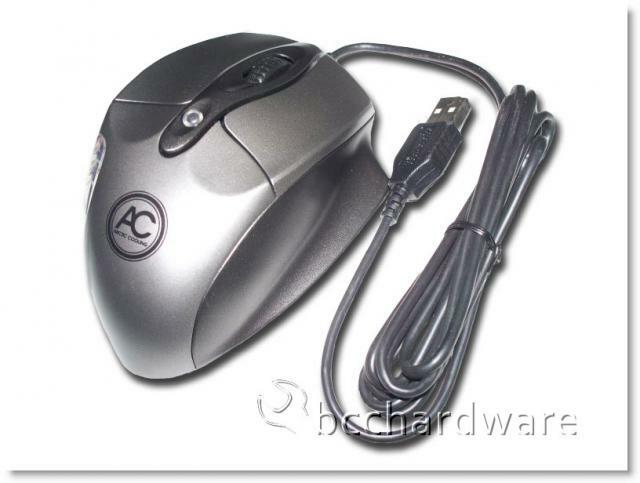 The ARCTIC M551 also has the basic features that any computer user is looking for – backward and forward button on the side and the scrolling key on the mouse. All these features are targeted to serve users to surf and play online more conveniently. The quiet scrolling wheel gives highest comfort to users when they need to view slides, zoom in and out, and navigate content on computer screen. On the next page we'll take a look at testing the M551 and draw some final conclusions.